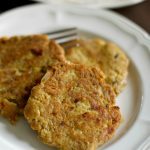 These grain-free salmon patties have been a hit in my home. 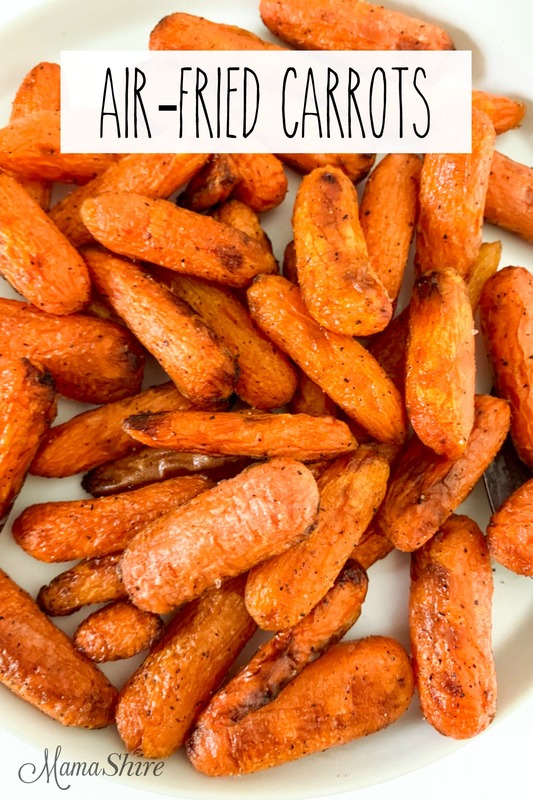 They go nicely with air-fried or roasted vegetables. 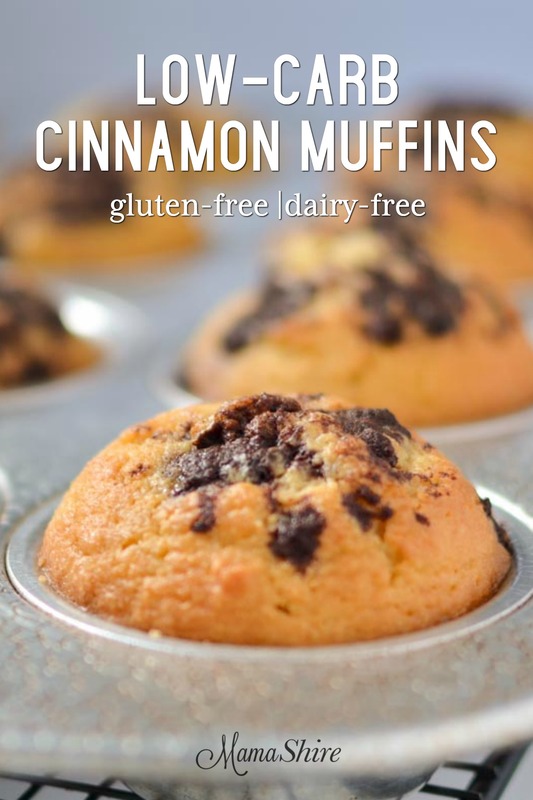 When we’re having a busy week, having these made up ahead of time make it easy to get in a quick, nutritious meal. If you’d like to freeze these be sure to freeze the patties in a thick freezer bag or container so the salmon smell doesn’t transfer onto your other foods. Be sure to buy wild-caught salmon, it’s full of omega-3, vitamins and minerals. The healthy omega-3 fats help protect against cancer and osteoporosis. It improves your skin, brain function, heart health among many others. You can read more about the nutritional benefits of salmon at Dr. Axe’s website. I add some of my favorite seasonings in these salmon patties; Herbamare and nutritional yeast. If you don’t have those feel free to leave them out or use your favorite seasonings. The Herbamare is an organic seasoning salt that has sea salt and organic herbs. The nutritional yeast adds a slight cheesy flavor. Drain liquid from salmon. Put salmon in the bowl of a stand mixer and mix on low to mash the salmon. Or use a fork to mash. 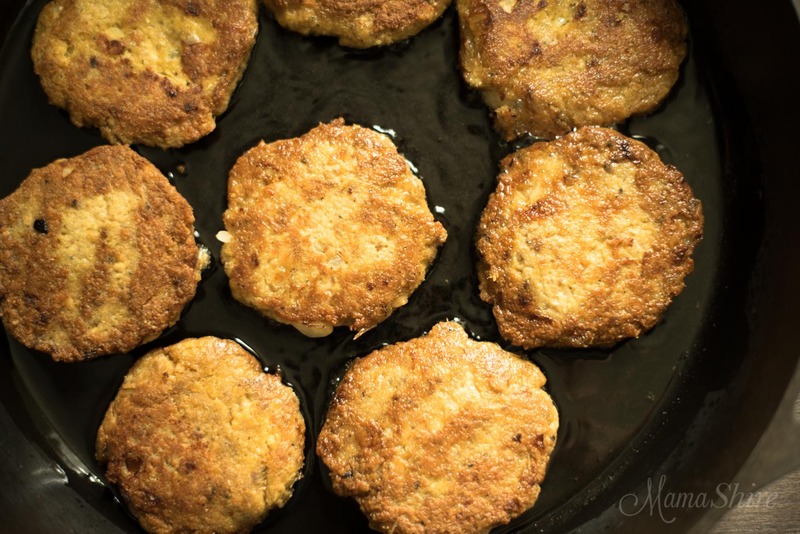 Shape into patties and fry in large skillet with coconut oil over medium heat. Fry 3-5 minutes on each side, until golden brown. Want to remember this? 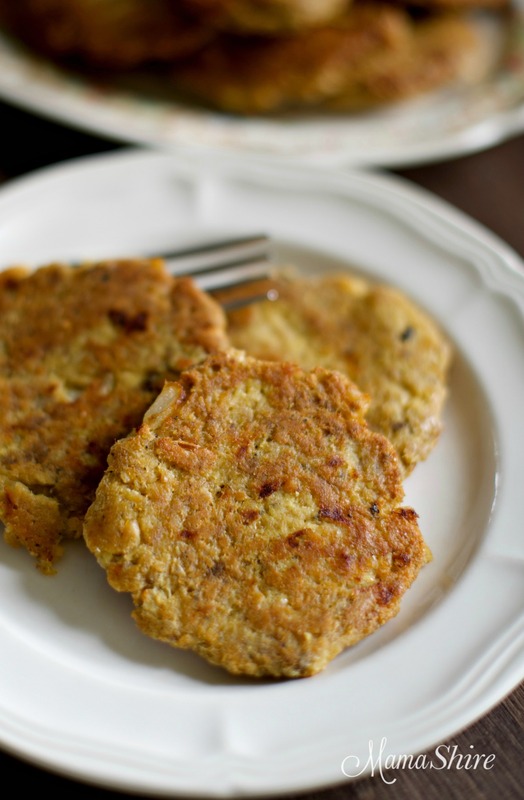 Save this pin for Grain-Free Salmon Patties to your favorite Pinterest board! 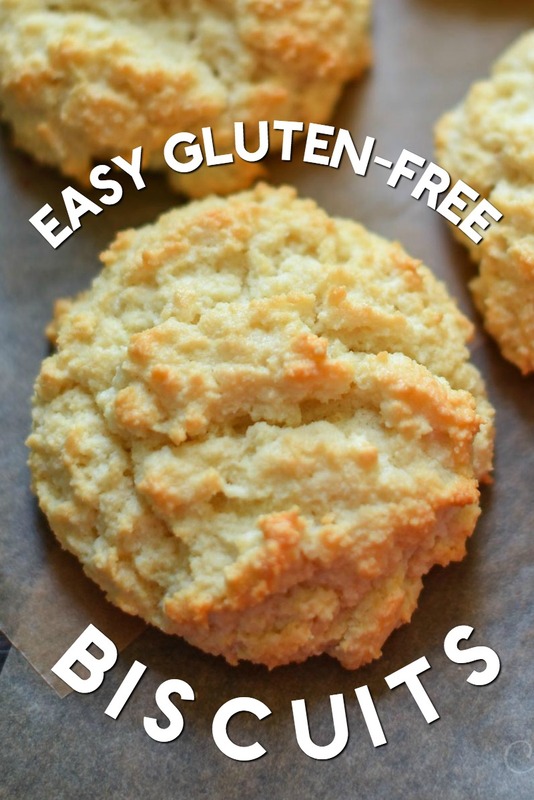 Appreciate this recipe–can’t wait to try it. We like salmon patties, but always have to scramble to substitute the grain portion, last time used oats, but will try this. Rhonda, let me know what you think. I am looking forward to making this TOMORROW. I go back to work after Christmas break on Tuesday and I want to make sure I have plenty of healthy lunches. Thanks so much for your hard work on these recipes. May you and your family have a wonderful, prosperous coming year. Did you use two of the 14 or 15 oz cans or two of the smaller cans? I’m guessing the larger cans but I’d like to be sure. 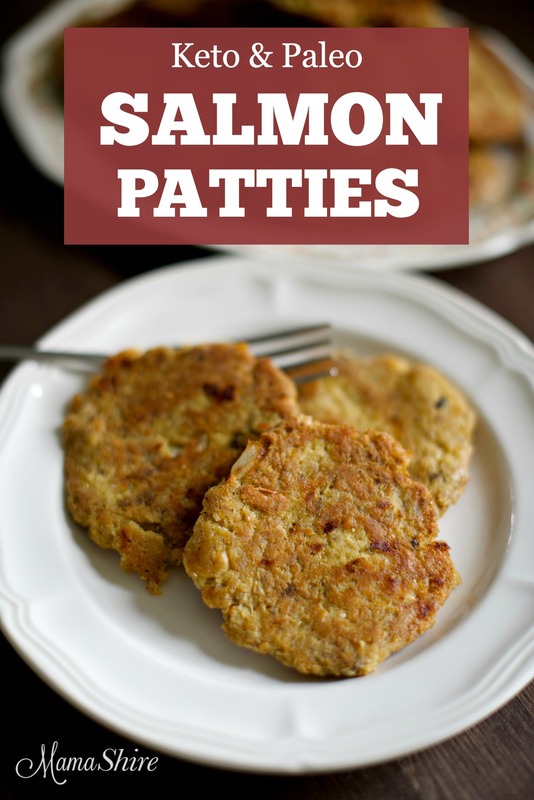 I love salmon patties and this looks yummy. Hi Karen, yes, I use the 14 3/4 oz cans. How many ounces of salmon do you use for this recipe?